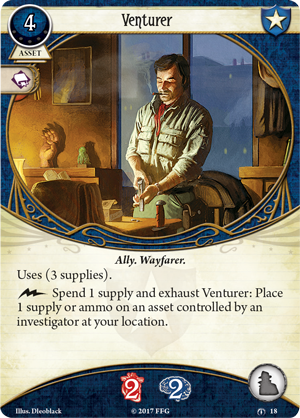 In The Forgotten Age, you journeyed far from home on a scientific expedition, but your search for knowledge had unexpected consequences as you unleashed secrets that should never have been brought to light. You have worked to undo your mistake, retracing your steps and continuing beyond the realm of reality to set things right, but have your efforts been in vain? Your last chance stands before you at the heart of the Nexus—do you have the courage to take the final steps? 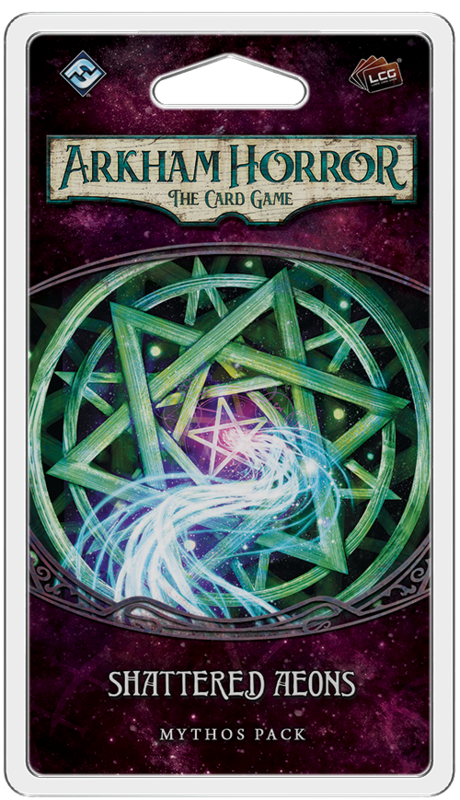 Fantasy Flight Games is proud to announce that Shattered Aeons, the sixth and final Mythos Pack in The Forgotten Age cycle for Arkham Horror: The Card Game, is on sale now at your local retailer or online through our website! As you enter the grand chamber beyond the doorway, the Nexus stirs. The Earth quakes below you and the wall chips and crumbles. Shards of stone float in the air above the strange artifact. Reality is beginning to shatter all around you. The energies of the Nexus swirl in the ground below you, beckoning you to enter. Whether it is a thing of science or magic, you do not know. It is a gateway of sorts, as far as you can tell… but a gateway to where? All that you know to be real is challenged as time and space fall apart around you. Suddenly, you can journey to other times, other worlds, and the line between sanity and madness threatens to tear your mind apart. 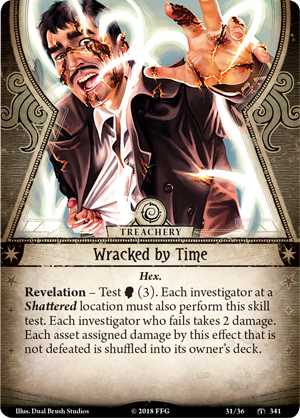 If you become Wracked by Time (Shattered Aeons, 341) during your investigation, both you and each investigator at a Shattered location must test your willpower, lest you suffer damage. 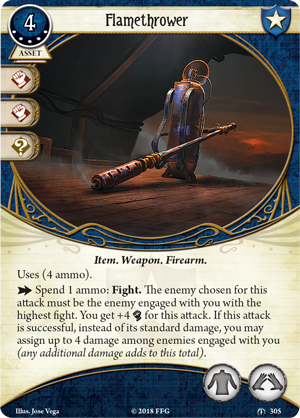 Worse still, you are further punished if you try to deflect the pain—each asset assigned damage from this encounter card that is not defeated is shuffled into your deck. 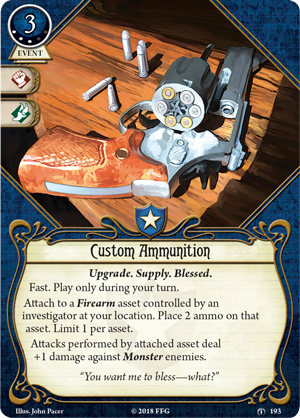 While this does save your assets from the discard pile, clearing all damage and giving you the chance to redraw it, you still have to pay their cost a second time, and there is no telling if you will be able to find them again in your moment of need. Even as it presents you with an incredible challenge, Shattered Aeons provides you with a couple tricks to counter these trials. Rogues can seek an asset lost to Wracked by Time by going All In (Shattered Aeons, 309) on a skill test. 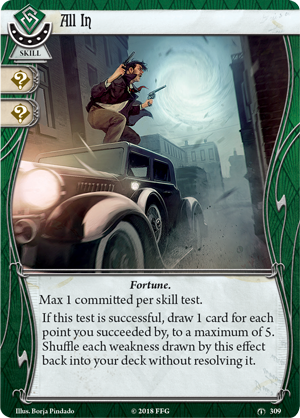 While the card itself only provides two wild icons for your skill test, it offers you the ultimate tool for getting out of a tight spot. If the test is successful, you'll draw cards for each point you succeeded by, to a maximum of five, shuffling any weaknesses back into your deck without resolving them! 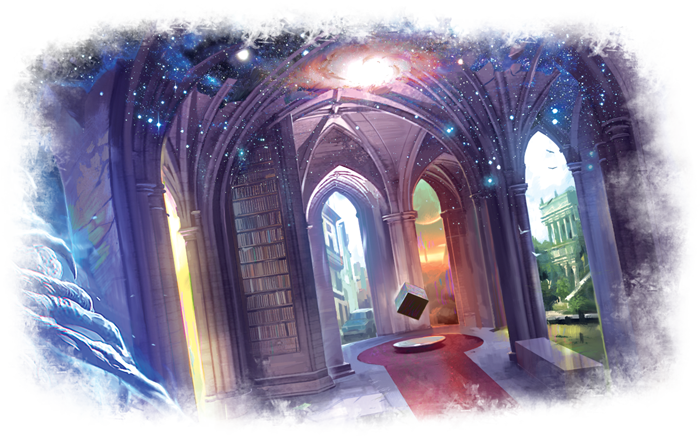 You can draw an entire hand’s worth of cards and build a new strategy whenever the need arises, and this can come quite in handy as your location in space and time shifts, forcing you to face new challenges around every corner. But while these new vistas may tempt you to fight eldritch horrors with arcane implements, sometimes nothing compares to the classics. Guardians can heft a Flamethrower (Shattered Aeons, 305) onto their backs, filling both of their hand slots as well as their body slot for the deadly weapon. With this deadly asset, you must always attack the strongest enemy, but the benefits are worth the danger. This Weapon give you four additional combat and if your attack is successful, instead of its standard damage, you may assign up to four damage among all enemies engaged with you! This can make quick work of a swarm of weaker enemies, freeing your other actions, or if you find yourself facing an elite enemy with plenty of health, you can upgrade your Flamethrower with some Custom Ammunition (Heart of the Elders, 193) to increase its effectiveness. And if you have a Venturer (The Forgotten Age, 18) in your team to carry some spare fuel, you can turn the tables and become the scourge of the monsters’ nightmares. 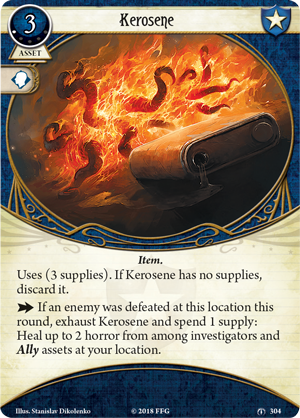 If you douse one such enemy in Kerosene (Shattered Aeons, 304) before setting it ablaze, the certainty of its demise and your immediate safety can ease the mind of a weary investigator or Ally, healing two horror and buying you a little more time. But for the ultimate saving grace, Mystics can learn to cast the mighty Seal of the Seventh Sign (Shattered Aeons, 311). 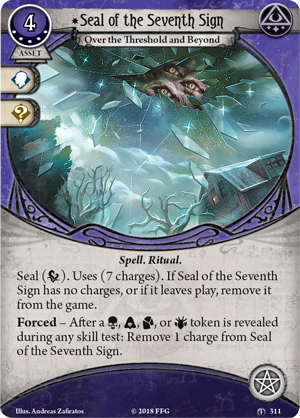 This Spell is loaded with seven charges to seal the auto-fail token, but it loses one charge each time a special token other than the elder sign is revealed. Once the charges are gone, the Seal is removed from the game. But the time that this card can earn you may prove priceless as you continue to fall through space and time with no promise of an end. You have come so far and learned so much. This campaign has changed your investigators and you have watched them grow as individuals and a team, but you have also lost more than you ever feared. If you could go back, if you could undo all that has happened since you first signed on for that expedition, would you? It's no use pondering the past—all you can do now is try to set it right, even if it costs you everything. 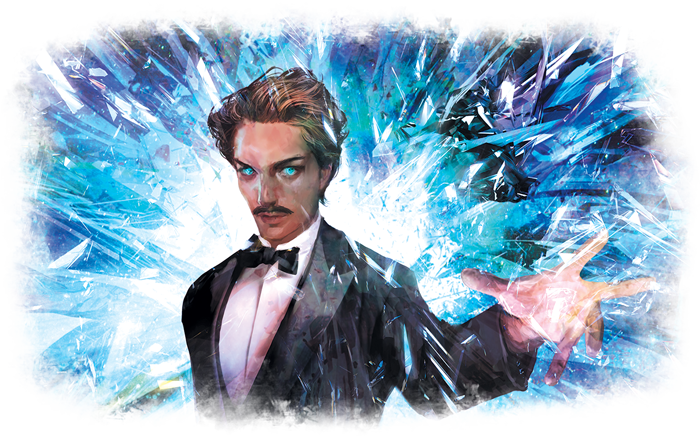 Pick up your copy of Shattered Aeons (AHC25) at your local retailer today or on the Fantasy Flight Games website here!